We practiced our song transitions just like we do during every other pre-service rehearsal, but somehow all the transitions went out the window during service. Generally, we play through each transition three times to make sure we are all on the same page, but it was apparently not enough this time around. I am not quite sure what caused the fall through, but the awkward experience did remind me of how important planned-out transitions are to worship. 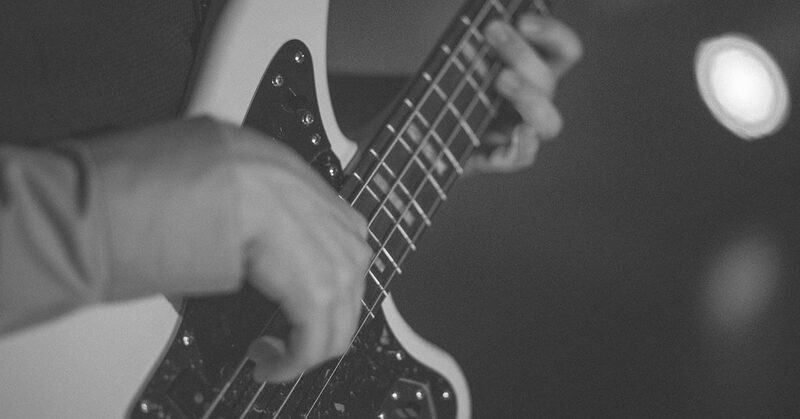 A worship set that flows together helps the congregation stay engaged the entire time. It also puts the band at ease because they know the direction we are going rather than having a freak out moment between songs. When working through transitions, the following strategies will give you a great starting point. However, do not be afraid to get creative and try something new. The worst that can happen is that it does not work and you have to try something else. Remember that time when you planned two songs next to each other in unrelated keys? Yeah, we have all been there. Everyone seems to raise an eyebrow at the awkward transition, but it is soon forgotten. However, we do not want the congregation wasting energy on getting re-engaged after getting distracted. The above key groupings are all examples of ‘sister keys’, although not the only ones that work well together. In most cases, choosing the 4 or 5 chord as the new key will create a smooth transition. Fallback: Sometimes, the best thing to do is simply have your keyboard player fade in the starting chord for the next song on a pad while the ending chord of the previous song is dying off. This fills the silence while giving the set a chance to breathe before moving into the next song. Of course, this only works when the songs are in related keys. Sometimes we get stuck into thinking the intro or outro of a song cannot be changed. Although there are songs that should always stick to the same intro, most songs can be changed as needed. For example, let’s say you are transitioning from a song that normally ends abruptly but you need to flow into a song that is more worshipful and intimate. Instead of ending abruptly, you could add a chorus to the end of the song that is simply vocals and a soft pad underneath. Then you could use the pad as a bridge between the songs. Give the band a chance to give their input. You have a full team of creatives and the possibilities are endless. Sometimes, a hard stop is the best alternative. Encourage the congregation to give their God a shout of praise. The praise from the congregation will serve as the glue between songs. As the praise is dying off, head into your next song. Although this works well, it can definitely be overused. Quite honestly, there are many times I have used this transition only because I was too lazy to think through a better one. This transition is best used after a big fun song that has the house rocking. Otherwise, we should put in the effort to find a better way. What are some other ways to smooth out transitions? Answer in the comments below. For us, whether the songs are in related keys or not, we always keep the cymbals swelling a bit while the other instruments fade out then wait for people to clap, start next click with cymbals into the the next song. No awkward silence, no distracting transitions no matter what the Key to next song is. Even B to C doesn’t feel funny becuase the band stops and the cymbals fill in the gap for during the count in into the next song. we’ve found it works well for all our services across both campuses. Sometimes we group songs together that are not only in the same key but have similar rhythms and tempos. It makes the transition so seamless that sometimes people don’t even realize we’ve switched songs until we start singing the lyrics. When there is no getting around an awkward key or tempo change, we occasionally have a team member read a scripture that introduces the theme of the next song while the synth uses a pad underneath to quietly transition us. Many seem to struggle with this one. They, in my opinion, shouldn’t.The key of a song should only be determined by how it fits the range of the lead vocalist, and that reason only (how can one lead when they have to screech the high notes or bottom-out at the low end?). If it fits the “related key” idea you mentioned, that’s a bonus. Otherwise, one can softly play the II-min-V-7 of the next song and flow into it without having to get all twisted up with adjusting keys. Great thoughts, Gary. Thank you! Just to be sure I’m reading it correctly, Gary, by “II-min-V-7” do you mean the II (which SHOULD be a minor) followed by the Vmaj7 (or just V7)? For example, if the next song is in G, then would you go to Am followed by D7 (Dmaj7)?